Live since 2006 and updated Mondays (and oftentimes more often), my main blog, Madam Mayo, covers a wide variety of topics in addition to Mexico. Over on the side bar there, you will also find a blog roll of English language bloggers based in Mexico. All Madam Mayo blog posts tagged "Mexico"
Maximilian ~ Carlota which launched in July 2010, is an outgrowth of my Maximilian von Mexiko webpage, which I started some years ago to share my research about the Second Empire / French Intervention for The Last Prince of the Mexican Empire, my novel based on the true story. 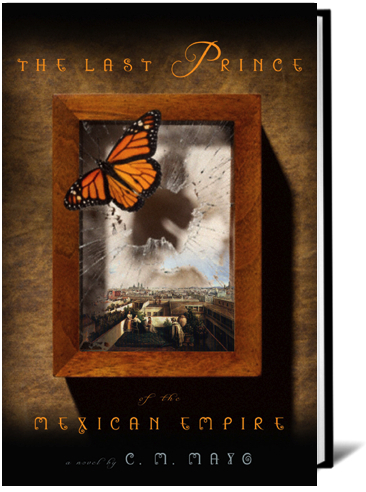 The novel was published in English in 2009 and in Spanish in September 2010 as El último príncipe del Imperio mexicano. My files are deep, and readers continue to send me new information, which I would like to share. Though the blog is in English, your comments are warmly welcome in either English or Spanish.